Funxion Outdoor A/O - 4 1/4" closed. 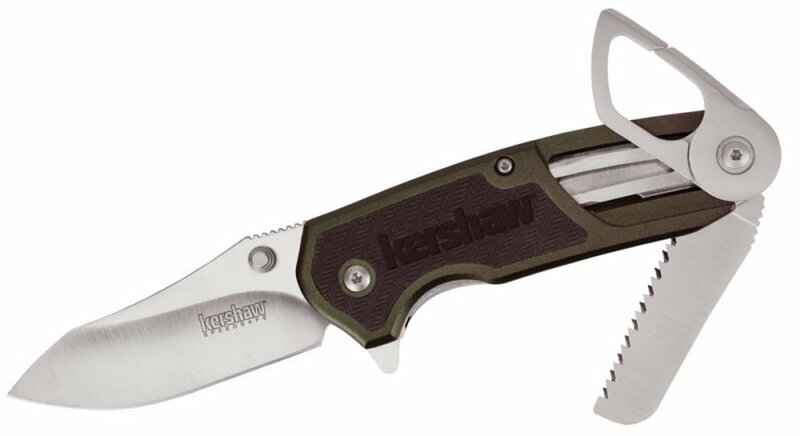 3" satin finish 8Cr13MoV stainless locking drop point blade with thumb stud and 3" saw blade. Thumb ramp and extended tang. Features SpeedSafe torsion bar mechanism for assisted opening. Olive drab anodized aluminum handles with black rubberized inserts. Features a swing-out attachment clip. Stainless deep-carry pocket clip.